Conquer data center complexity with unwavering support for hardware and software and a smart way to manage the mix of vendors in your environment. Dell offers a single source with the expertise, know-how and capabilities to help you support your business. 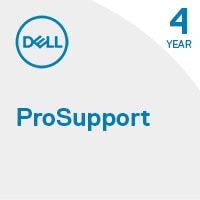 Dell ProSupport offers highly trained experts around the clock and around the globe to address your IT needs, minimize disruptions and maintain a high level of productivity. - Gain efficiency through a single source for all your support needs.